By Natalie Carrillo, Research and Evaluation Assistant, Pima County Arizona Juvenile Court, and Matthew Estes, Training and Education Coordinator, Arizona Superior Court in Pima County. 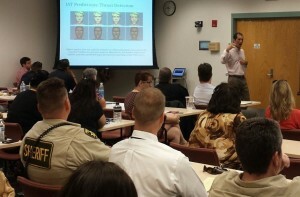 This article reflects upon the July 2015 Implicit Bias training program in Pima County, Arizona (Tucson) and offers lessons and tips that other judicial educators can use as they create their own implicit bias coursework. How do courts deal with issues such as the disproportion of minority representation in the criminal and juvenile justice systems? How can court employees and judges act to overcome the perception that the criminal justice system is biased towards minority populations, as shown in research at ProceduralFairness.org and elsewhere? Pima County courts chose to tackle implicit bias training as one facet of their efforts to combat these and related issues in courts in Tucson, Arizona. The Pima County court system welcomed two national experts in the emerging field of implicit bias in July, 2015. They taught six sessions on three different court campuses in Tucson in an effort to improve staff awareness of how associations, attitudes and habits shape and affect our daily interactions with court customers and with each other. Michael Brownstein, Assistant Professor of Philosophy at John Jay College of Criminal Justice, and Alex Madva, Visiting Assistant Professor of Philosophy at Cal Poly Pomona taught the classes. The instructors came highly recommended by those interested in implicit bias both academically and professionally. Over 300 Court employees participated in implicit bias training at three different training locations July 22-24, 2015. The turnout was one of the largest in Court history for a training event, and drew walk-in attendance from units across the spectrum of the judicial branch, from the Pascua Yaqui tribe to the Pima County Sheriff’s Office. What is implicit bias, and why is it tricky to teach? Implicit bias arises from attitudes or stereotypes that affect our understanding, actions, and decisions in an unconscious manner. It may be helpful to think of implicit biases as unspoken stereotypes that we are repeatedly exposed to through media, social segregation, learning at early developmental stages, and normal habits of mind like categorization and heuristics. 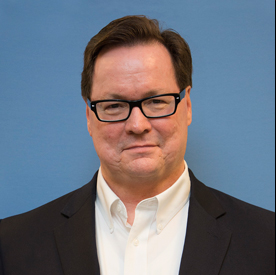 Frank … explicitly believes that women and men are equally suited for careers outside the home. Despite his explicitly egalitarian belief, Frank might nevertheless implicitly associate women with the home, and this implicit association might lead him to behave in any number of biased ways, from trusting feedback from female co-workers less to hiring equally qualified men over women. While implicit biases often lie deep within our subconscious minds, their effects have been found to have stark consequences. Researchers have found implicit biases affecting behavior negatively across the spectrum of social interaction. In recent studies, problematic implicit biases appear to cause unfavorable judgment of minority job applicants, and even lead to harsher sentences for inmates with more “Afrocentric” facial features. The topic of implicit bias is both new and nuanced. Trainers who are preparing court audiences for their initial encounter with implicit bias should prime their audience before the class. Examples of helpful priming include detailed course descriptions and emails with links to academic resources. Trainers who know their audience may consider inviting participants to attempt one of several online exercises that promote awareness of implicit bias, which is an effective way to get participants talking about it. How can a trainer build an implicit bias class that meets his/her courts’ specific needs? In our sessions, Drs. Brownstein and Madva explained the theory of implicit bias, how social scientists became interested in studying it, why implicit bias is an important concept for court employees to understand, and what strategies can be employed to combat it in the courts and in everyday life. We came to know our instructors very well over the several months we spent planning and executing the July training, and learned that their implicit bias research interests lie at the intersection of the ethical implications of our subconscious mental attitudes and the research of psychologists interested in social cognition. And while Drs. Brownstein and Madva were excited to discuss their scholarly interests upon inquiry, they were also extremely capable of using everyday language and real-world examples to ensure that all attentive participants could understand and apply the lessons of implicit bias research. Our instructors’ examples and explanations centered on the Implicit Association Test (IAT), which detects the strength of a person’s association between representations of objects or concepts that the mind organizes into different categories. Drs. Madva and Brownstein presented an array of research results from the IAT that indicate the existence of troubling bias against members of certain racial, gender, and other social groups. Our deliberate focus on the IAT was a direct result of observation of our audience in previous situations. Years of course evaluation responses show that Pima County court employees find arguments with relevant statistical data more persuasive than arguments without such data. This type of activity also helps participants understand the power of association without the feeling of judgment that can be involved in other discussion. Other audiences may find IAT data too rudimentary, in which case a deeper discussion of policy implications might be preferred. Why did we decide to offer Introductory and Advanced level classes? Drs. 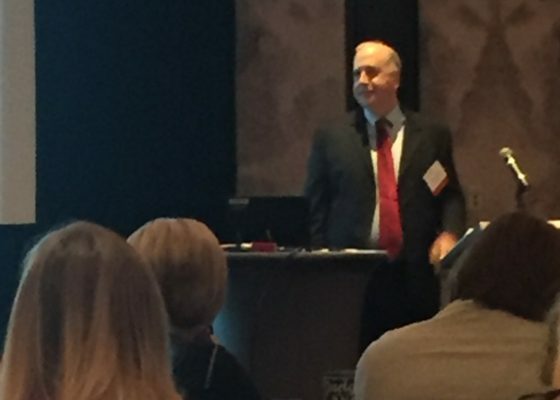 Brownstein and Madva presented two levels of implicit bias training. The introductory class was designed for the court employee who had little previous experience with implicit bias or none at all. Titled “Understanding Implicit Bias: The Causes and Effects of Implicit Bias in Criminal Justice and Education,” the introductory class provided a thorough historical overview of implicit bias, followed by an explanation of what the IAT is and how it works. An interactive class exercise completed the content in the first hour. In the second hour of the class, the instructors explained the negative outcomes predicted and explained by the IAT, and concluded with a brief discussion of reforms that could be made in light of implicit bias findings. The advanced class, titled “Overcoming Implicit Bias: Individual and Institutional Reforms,” started with a condensed version of the introductory class. The remaining 90 minutes were devoted to a deeper exploration of potential reforms, and more in-depth group discussion of those reforms. We had anticipated that participants would self-sort into the Introductory and Advanced classes based upon the descriptions we provided in training bulletins and emails. However, that turned out not to be the case. Some court employees who had a strong understanding of implicit bias attended the introductory session, and many court employees attended both the introductory and advanced classes. In both cases, we received constructive feedback on the course evaluation forms that parts of the class felt somewhat rudimentary, or repetitive. Upon reflection, the advanced class would have been more effective for the audience had we chosen to present completely new content from the introductory class. This would have allowed Drs. Madva and Brownstein to delve deeper into ideas for institutional level reforms among other things. What methods helped us to obtain useful data from the implicit bias trainings? The idea for implicit bias training originated from a recommendation for a project to help reduce disproportionality in the juvenile justice system in Pima County, Arizona. Due to the nature of the project, it was important to gauge whether the trainings had any measurable effect on the participants. We considered what type of measurement would not only measure change in participant responses, but also provide participants with an opportunity to provide feedback and suggestions for future trainings. Participants took part in three surveys. The first survey was completed prior to the training, the second immediately following the training, and a third survey was sent to them three months after the training. The same tool measured participant responses to the same statements before and after the training. Drs. Brownstein and Madva recommended a tool used in a previous study to measure implicit bias education. The third survey was online and assessed whether participants found the training useful and also provided a forum for feedback and suggestions. The surveys showed that the training raised participants’ awareness of implicit bias and its effects on their decision-making. 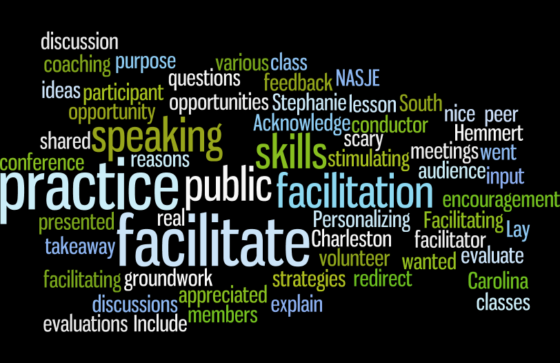 What did participants think about the implicit bias trainings? Several thoughtful attendees asked about the IAT design itself, as response times that lag by mere tenths of a second are deemed significant. Drs. Madva and Brownstein explained that the IAT is one of the most widely used and reviewed tools in social science research. While they did not proclaim any definitive causal links between implicit bias research and prejudiced attitudes, the professors did explain how and why implicit bias is an emerging explanation for the persistence of racist and discriminatory attitudes in twenty-first century America. As mentioned above, we anticipated that the topic of implicit bias would create some confusion and uneasiness in our audience. And while we did receive some commentary to that effect (“A study can be made to find whatever statistics we want”; “It’s a ridiculous concept meant only to divide and create negative feelings among the masses”), these comments represented a small subset of the larger group. A much larger cluster of comments indicated that participants found the training to be provocative, supported by helpful statistics and useful research, and that the training could be practically applied in the court environment. How are we keeping up the momentum? The July implicit bias training was well-received in the aggregate, and the high-quality instruction provided by Drs. Brownstein and Madva has had positive effects on the progress of similar coursework. Current and future coursework on the topic of implicit bias is a high priority, given that one of the instructors’ key takeaways was that “debiasing” is more likely to happen in an environment where implicit bias education is emphasized and frequent. As Court educators know all too well, the lessons of a great training begin to scatter and dissipate if they are not followed by classes on similar topics, with similar themes. In November, 2015 Court employees were invited to participate in “American Denial,” a class which used a PBS documentary of the same title to explore the impact of implicit bias in a smaller setting. The smaller class afforded trainers the opportunity to solicit more feedback from the participants, and future offerings of the class will provide scenarios with examples of implicitly biased action for participants to consider. Another class, which uses the film Fruitvale Station as a basis for discussion, also puts forth the concept of implicit bias and its relationship to prejudice and racism. Both of these classes will be offered throughout the coming year in an effort to maintain awareness of the impact of implicit bias in the criminal justice system. Moving forward, discussions are underway to provide more opportunities for Court employees to encounter and wrestle with implicit bias topics. We also plan to use the suggestions and feedback from our employee surveys to develop future trainings. Natalie Carrillo is a Research and Evaluation Assistant at Pima County Juvenile Court (Tucson, AZ) where she works on the Disproportionate Minority Contact Intervention Project among other court projects. Prior to joining the Court, she worked in education for over ten years. She earned a Bachelor’s degree in History from The Colorado College, and a Master’s in Public Policy from Johns Hopkins University. Matthew Estes is a Training and Education Coordinator for the Arizona Superior Court in Pima County. In that role, he brings trainings to judicial staff across many different platforms, and works specifically with juvenile detention and probation staff to meet their training needs on a case-by-case basis. 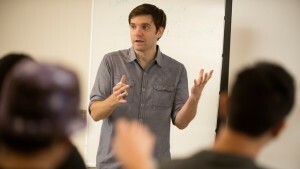 Previously, Matthew was an instructor and curriculum designer at the high school and community college levels.